WORLDOPOLY: Bring Business with Pleasure. I love to play games, for me it is a good way of relaxation, sometimes I play for the fun of it, other times it makes me think a lot. I'm sure a lot of us love to pass our free time playing one game or the other. Some of us like real games, other interested in computer and mobile games. Although games are fun to play and a good way of relaxing, some see gaming as a good way to brain-storm but the downside remains that we will always be carried away while deeply immersed in the gaming world. I have never successfully stick to time management while playing one game or the other, for other people this might be an issue too, they are just so interesting you can not leave them when you plan to. But what if there was a way to monetize all that time used in playing game? Combining business with pleasure, what if you can actually earn real life rewards for simply doing what you love - playing game in your free time. There are many global gaming comeptitions that seeks to reward players, but imagine if you can earn real life tokens and cash rewards from the comfort of your home or office or anywhere you are in the world you are playing from. Most times we get carried away while playing games and time passes so quickly, but now, you can actually earn from it, combine business with pleasure. Unlike most other games limited to focus on either AR or World Building, Blockchain/DAG or gameplay, Worldopoly brilliantly combines all these technologies into one awesome gaming platform each performing its unique purpose. 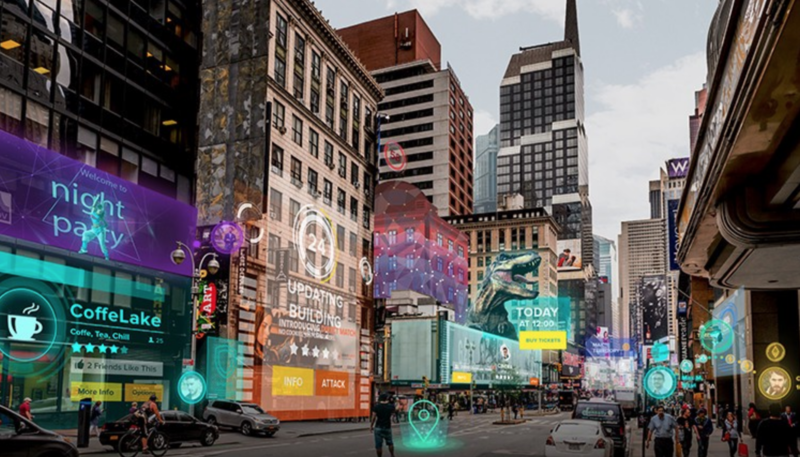 With Augmented Reality Gaming technology (AR) you experience the game in real life, implementation of the world famous Blockchain / DAG technology provides an advanced level of security and Geopositioning brings the cities of the world onto your device. Worldopoly is a real-time multi-player strategy game that implements Blockchain / DAG and augmented reality into a world building simulation. It provides an economic incentive as well compelling gameplay through the implementation of its own cryptocurrency Worldopoly Token (WPT). The best part is that you can can buy and sell virtual buildings for in-game currency and earn real money. This awesome game not only offers you a great way to pass time while making money, it offers plays a platform to sharpen their business management skills, build up more on their entrepreneurial capabilities as well as creating teams and advancement of their business ventures. Now a game is teaching you how to be better in real life while paying you at the same time, isn't that awesome. Worldopoly is uniquely superior to other games based on the fact that it implements real time - real world scenarios where players can buy real streets in real cities using Google maps and openstreetmaps. The combination of Blockchain/DAG, along with Augmented Reality Gaming technology (AR) and the Worldopoly Token (WPT) makes it the best in the world for everyone. The possibilities that players can earn real WPT token without investment is breathtaking so much that it introduces players to the world of cryptocurrencies without the financial risk. Now that's super awesome. In a very competitive market such as the gaming industry where there are several thousands of similar games with similar gameplay, it is very crucial and important to stand out. Worldopoly has a unique advantage due to the fact that they launched in an environment where Augmented Reality Gaming technology (AR) is being actively promoted by top companies like Apple and Google. 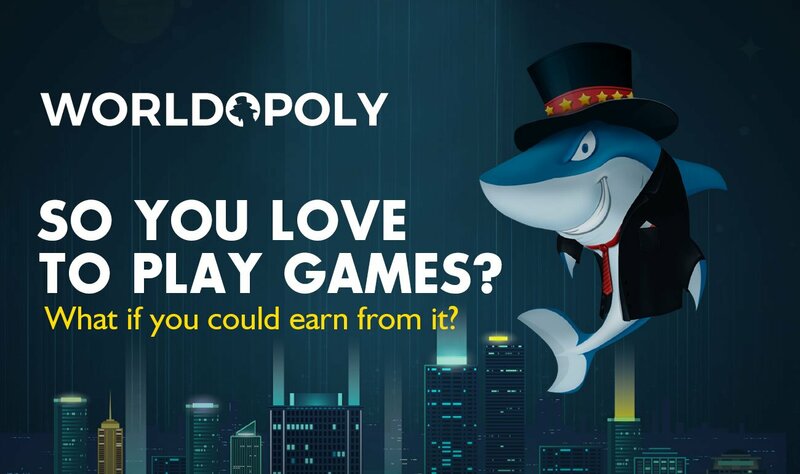 They are pioneers in the field of meaningful implementation of Blockchain / DAG into a game and most importantly, Worldopoly provides a genuinely interesting gaming experience. All these information proves to a very large extent that investing in Worldopoly is the best decision an investor can take in this current age of fast paced and rapidly changing world of cryptocurrency and blockchain innovations. Also early Investors benefit from a wide range of investment opportunities, such as classic advantages of ICOs: special token deals and lower prices on WPTs. Investors can use the early entry into Worldopoly to obtain streets and buildings that can be sold later for a profit. The success or failure of a project depends to a large extent on the team working on the project. In this case, the success of Worldoploy will be brought by highly qualified team of 25 specialists with vast experience in a wide range of disciplines. Led by Jura Hölzel, Co-founder and CEO of PepperMint Talents and Sergey Sergeenko, Chief Technology Officer, the team has proven knowledge and experience in the world AR gaming and implementation of the Blockchain technology. The team has a great track record from as far back as 2013 till date and much more greater records to come. Worldopoly is going to be a ground breaking project, almost everyone has a mobile device and can easily download this game. The luckiest people will be the early investors that participated at lift-off.